The spirit of Chemspec exhibition is to showcase new technology, chemistry and products along with emerging trends of the industry and to unite buyers and sellers under one umbrella. 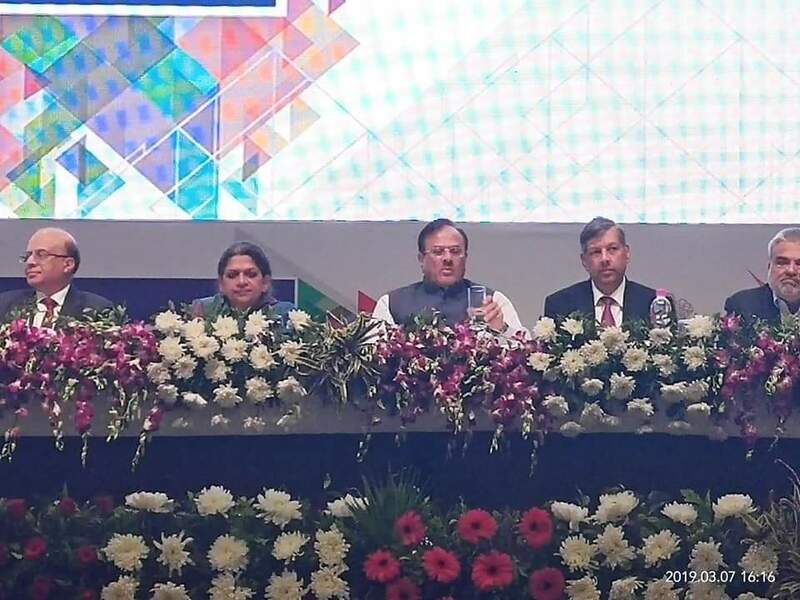 In keeping with this, Deepak Nitrite unveiled its new logo at Chemspec India 2018, held in Bombay Convention & Exhibition Centre (BCEC), Mumbai. Deepak Phenolics Ltd. participated in the ChemTech Gujarat World Expo 2018 held at Gujarat University, Exhibition Center, Ahmedabad from 23-25 Jan, 2018. The company’s new logo was revealed here. 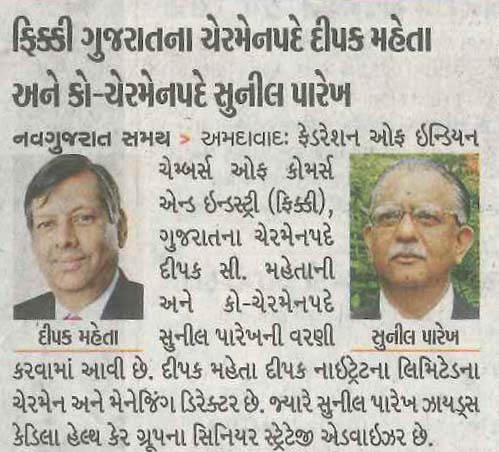 The ideation initiative was hosted at Dahej’s facility of Deepak Nitrite Limited on November 26. As part of IIT Bombay -Program ‘Course on Wheel’ , around 29 bright students along with their mentor/professor visited DNL – Nandesari and Dahej unit. Deepak Nitrite Limited participated in Indian Chemical Council- Industry Outlook Conference held in Mumbai recently. This year theme was Industry 4.0-implications for Chemical Industry-feedstock, technology and global trade. 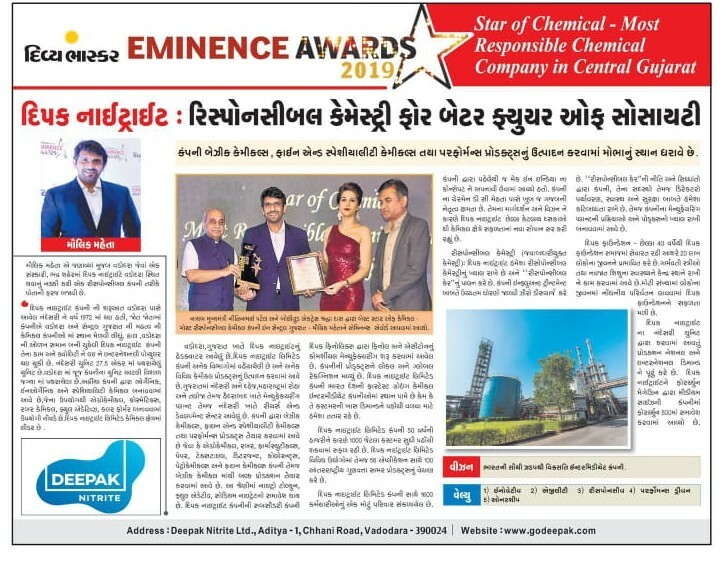 The Global Employer Branding Institute and World HRD Congress conferred Deepak Nitrite Ltd.
Bhaskar Group Divya Bhaskar in their Eminence Award Function recognised Deepak Nitrite Ltd. as Star of Baroda- Most Responsible Chemical Co. in the region. Chhani Road, Vadodara-390 024, India.